If you are thinking of a hair transplant it is inevitable you will face the question of what hairstyle you can or should wear after hair transplant. It is important to understand a hair transplant does not generate new hair, but the existing hairs are strategically distributed so that the illusion of full head of hair is created. A prerequisite for this illusion is the minimum length of the transplanted hair in the recipient area. Do not be fooled to think the hair can be kept very short, the result may not look thick, no density and possibly unnatural. Even in people who do not suffer from hair loss very good hair characteristics, a very low contrast between hair and skin colour and very high hair density is needed otherwise their hair can still lose the look of fullness. The goal of a hair transplant is the illusion as if you have more hair than actually there is and this is achieved with a little length left on the hair, blocking the light rays and preventing the reflection. 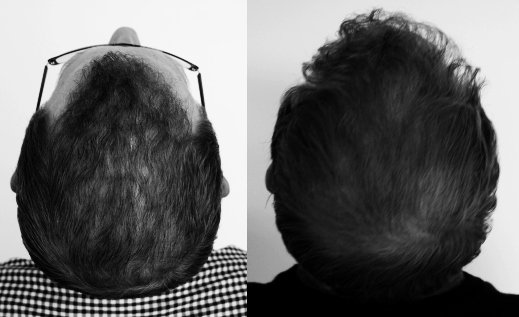 Regardless of the widespread idea all hair transplantation techniques will leave scarring in the donor area, which precludes the argument that one can wear the hair in the donor extremely short. With FUT a fine linear scar is created that is hidden under the hair that only has to be kept only a few mm´s longer than with an FUE procedure. FUE leaves no linear scar but cylindrical white dots that can manifest themselves in obvious man-made patterns of extraction or scarring. This is a reason why you very rarely see people with very short hair that have undergone a hair transplant. In order to obscure the scar points the hair must be worn at least a few mm´s in length regardless of technique applied. Read here what terminology Hattingen Hair Transplantation uses.